Background: Motivation is a driver to health worker performance in most Ghanaian hospitals. In view of this, Ghana’s Ministry of Health has rolled out enough motivational policies to accentuate work performance of health workers. 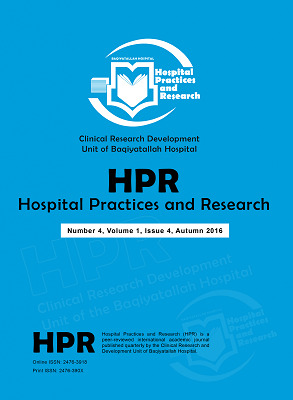 Objective: The focus of this study was to examine the impact of motivation and identify how intrinsic and extrinsic motivating factors affect the work performance of health workers at Korle-Bu Teaching Hospital (KBTH). Methods: A qualitative approach was adopted for the study, and purposive sampling was used to select fifteen (15) health workers including both medics and paramedics. An in-depth interview guide and one-on-one interviews were adopted to collect data from the staff at Korle Bu Teaching Hospital. A thematic content analysis was used to analyze the transcribed data. Results: Key findings from the study revealed that job satisfaction, logistic provision, and an enabling work environment are intrinsic motivating factors that affect the work performance of health workers; extrinsic factors such as financial reward, accommodation, and transportation also impact work performance. Furthermore, motivation is key to the work performance of nurses. Conclusion: It is recommended that the National Midwifery and Nursing Council (NMC) and the Ministry of Health (MOH) adopt motivational policies based on the intrinsic and extrinsic motivational blocks. Steers RM, Porter LW, Bigley GA. Motivation and leadership at work: McGraw-Hill; 1996. Adams O, Hicks V, editors. Pay and non-pay incentives, performance and motivation. WHO’s workshop on a Global Health Workforce Strategy, Annecy, France; 2000. Hongoro C, Normand C. Health workers: building and motivating the workforce. 2006. Paul F. Health Workers Motivation and the Role of Performance Based Finance Systems in Africa: A Qualitative Study on Health Worker Motivation and the Rwandan Performance Based Finance Initiative in District Hospitals. London School of Economics and Political Science working paper series. 2009:08-96. Moneta GB, Siu CM. Trait Intrinsic and Extrinsic Motivations, Academic Performance, and Creativity in Hong Kong College Students. J Coll Stud Dev. 2002;43(5):664-83. Dartey-Baah K, Amoako GK. Application of Frederick Herzberg's Two-Factor theory in assessing and understanding employee motivation at work: a Ghanaian Perspective. Eur J Bus Manag. 2011;3(9):1-8. Hennessey B, Moran S, Altringer B, Amabile TM. Extrinsic and intrinsic motivation. Wiley Encyclopedia of Management. 2005. Robbins SP, Judge T. Essentials of organizational behavior: Prentice Hall Upper Saddle River; 2003. Bandura A. Social cognitive theory of personality. Handbook of personality: Theory and research. 1999:154-96. Hornby P, Sidney E. Motivation and Health Systems Performance. WHO, WHO/EDUC/88.196; 1988. Van Lerberghe W, Conceicao C, Van Damme W, Ferrinho P. When staff is underpaid: dealing with the individual coping strategies of health personnel. Bull World Health Organ. 2002;80(7):581-4. Neuman SB, Dickinson DK. Handbook of early literacy research: Guilford Press; 2003. Edward D, Ryan R. Intrinsic Motivation and Self-Determination in Human Behavior. New York: Pantheon. 1985. Oudejans R. Linking extrinsic and intrinsic motivation to job satisfaction and to motivational theories: a comparison between the public sector (nurses) and the private sector (call centre agents)(Top Thesis). 2007. Lopes SDF. Destination image: Origins, developments and implications. Pasos. 2011;9(2):305-15. Mukuma Kyambi J. Influence of Human Resource Diversity Management Practices on Performance of Non-Commercial Government Agencies in Kenya. Kenya: Mukuma Kyambi Justin; 2015.